Colour My World jumbo tray storage is a colourful and bright tray storage unit with 12 jumbo Gratnells trays. 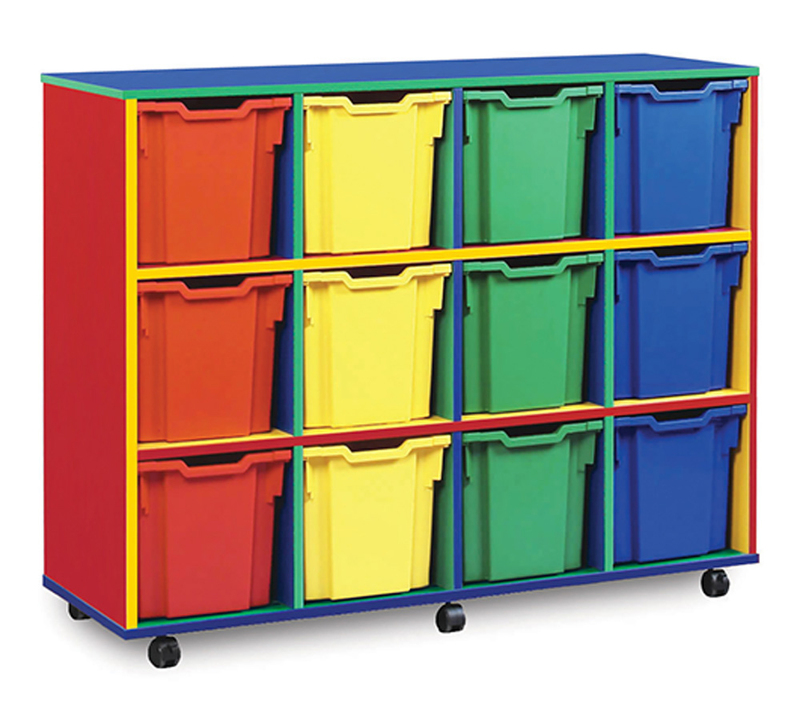 Designed for use in schools, pre-schools and nurseries, the jumbo trays allow for storage of larger classroom materials such as toys, art supplies or school bags. Each storage unit is supplied in the mixture of colours shown in the images. The 12 jumbo trays are available in red, blue, yellow or green. Delivered fully assembled and supplied with easy glide castor feet so you can choose to have your unit mobile or static. Constructed from 18mm MFC finished in 4 bright traditional school colours.